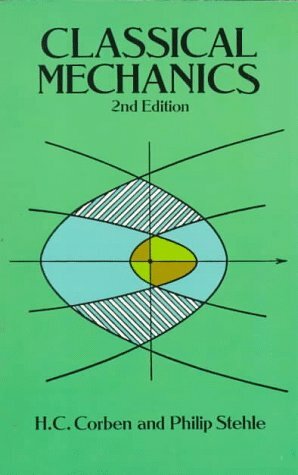 Dover Publications Classical Mechanics: 2nd Edition (Dover Books on Physics) by H.C. Corben, Philip Stehle, Physics | Free eBooks Download - EBOOKEE! Posted on 2012-09-27, by sharebookfree. Geared toward advanced undergraduates and graduate students, this text covers applications not usually taught in physics courses: the theory of space-charge limited currents, atmospheric drag, the motion of meteoritic dust, variational principles in rocket motion, transfer functions,Â dissipative systems, and much more. 41 illustrations.Â 1960 edition. No comments for "Classical Mechanics: 2nd Edition (Dover Books on Physics)".